Every burning passion starts with but a tiny spark. For myself, that spark ignited a flame at the age of three. There I stood, gazing skyward outside my childhood home in awe of six red white and blue aircraft with a large bird emblem gracing the underside of each. Seeing these large “birds” flying so smoothly side by side, moving as one, accompanied by this amazing earth-quaking roar would leave a lasting impression on me. 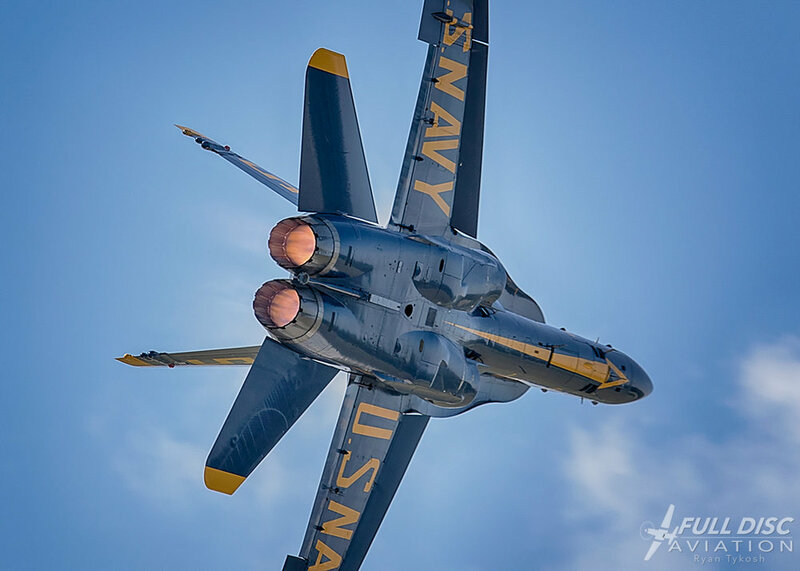 At age five, I attended my very first airshow with my mom and dad at Wilkes-Barre/Scranton International Airport where I was introduced to the US Navy Blue Angels. From that point on, I knew whatever I did in life, aviation would always be a part of it. Starting with a one time use film camera, my first attempts at capturing the action were, well, let’s just say I was lucky to get any portion of a flying aircraft in frame. Despite my less than stellar debut, I was determined to improve. As my skills grew, so did my equipment and understanding of photography. College helped to push me forward in these areas, but even so, classroom learning just doesn’t compare to personal experience in the field. My photographic subjects and interests progressed over the years to landscapes, portraits, and weddings, but I couldn’t escape the allure of aviation. Sure, weddings and landscapes have a unique beauty of their own, but for a guy like me theres just something extra about a historic warbird’s radial engine growling overhead or the howl of a modern jet fighter as it throttles up and shakes the ground itself that really drives my passion. 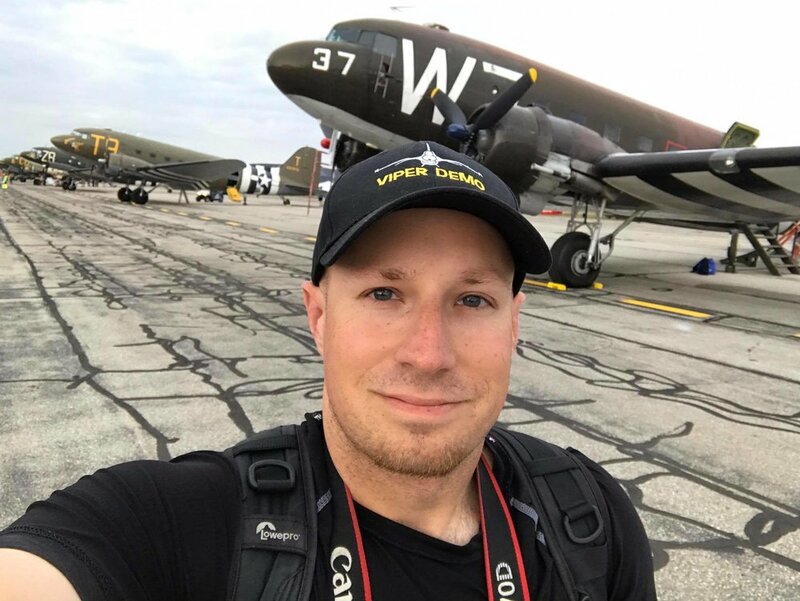 I was fortunate to meet many other talented photographers and aviation enthusiasts over the past season through social media and at events who not only challenged me to push my own limits but also became some of my closest friends on and off the airfield. Their friendship, support, and enthusiasm is a constant source of motivation for myself to never settle for average work and to never stop learning and experimenting with new techniques. I’m honored to be a part of Full Disc Aviation and I’m excited to help share the history, beauty and power of manned flight through my photography. The 2017 season saw several milestones for me, including my first published article and the honor of having my photo of the F-22 Raptor appear on the cover of the ICAS Air Shows magazine third quarter issue. There’s no telling what the future holds, but it’s a safe bet I’ll still be looking skyward with that same sense of awe and wonder that shaped me into the person I am today.